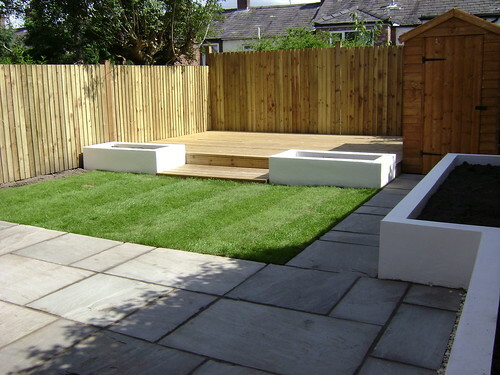 For this landscaping project in Macclesfield we were given the brief - to create a family friendly garden. 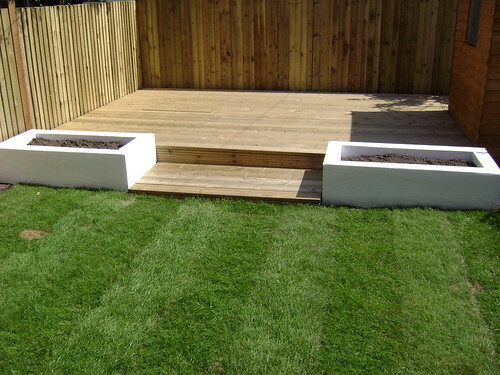 The client had asked for us to include decking and raised white renderred beds in the design. After a site consultation, the final design was agreed on. 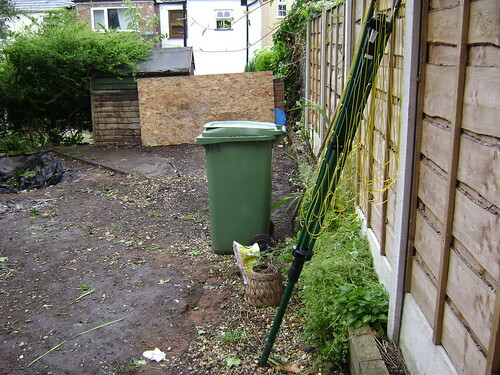 The garden on arrival was an overgrown mass of vegetation, with an unloved and overgrown pond hiding underneath the overgrowth. The ground was cleared by hadn as we had no access for plant machinary. The pond was cleared and we even found some fish to give new homes too! 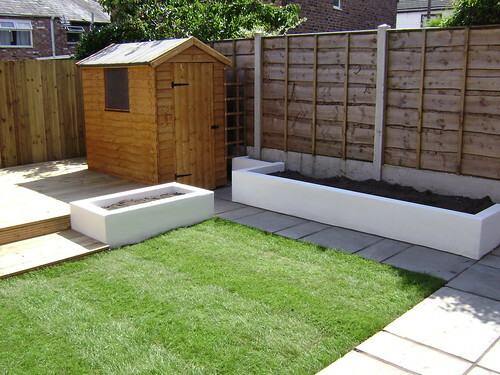 A new feather edge closeboard fence line was built to secure the site, creating a brighter backdrop for the new garden.The site was mapped out and by line marking spray before construction work began. 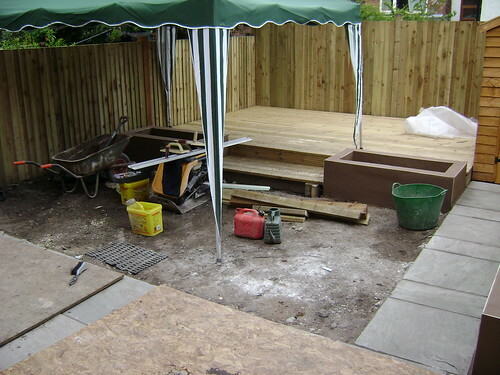 The decking was built first using construction grade timber to build the sub-frame, and 42mm soft wood decking boards, a trap door was built into the deck to reveal a hidden sand pit for the young children to enjoy. 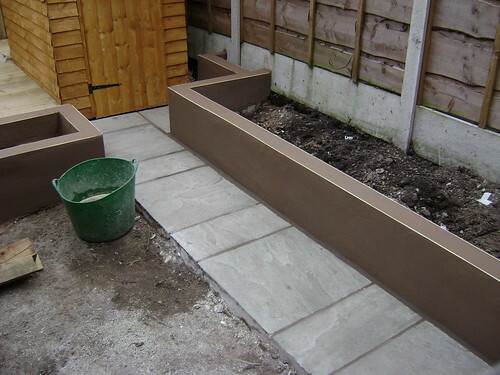 The renderred beds were constructed using 4inch block and renderred using Krend compound. Finally the Silver Grey Indian Sandstone paving was laid with a new area of lawn adding a splash of natural colour to the new outdoor living area. 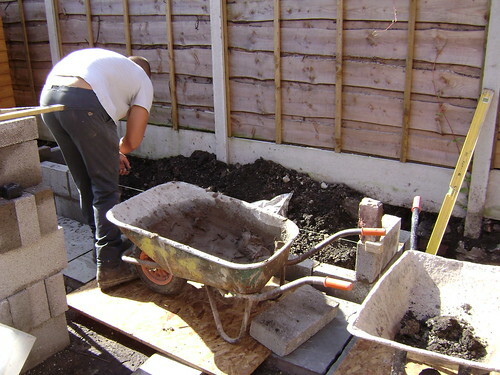 The project took 12 days to complete at a cost of £8700. 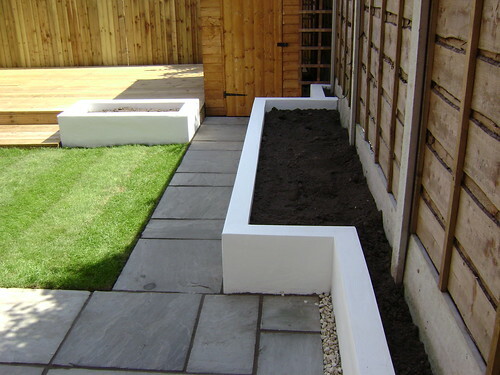 Landscaping macclesfield. 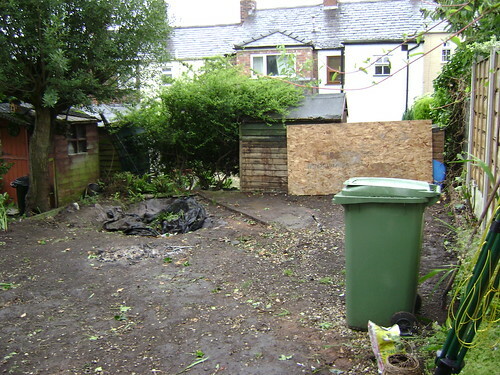 Landscapers Macclesfield. 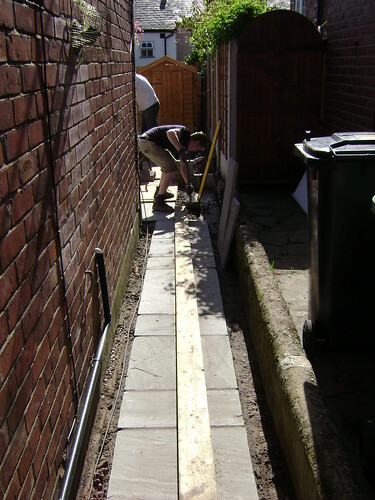 Decking Macclesfield. 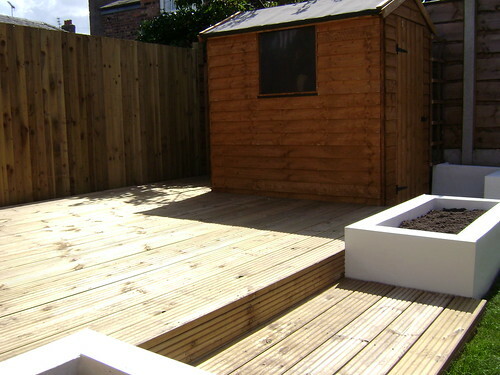 Macclesfield Decking. 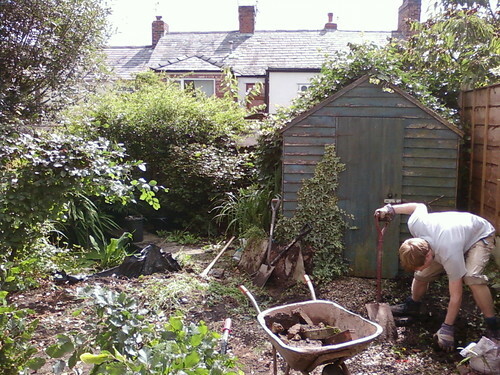 Landscape Gardening Macclesfiled. 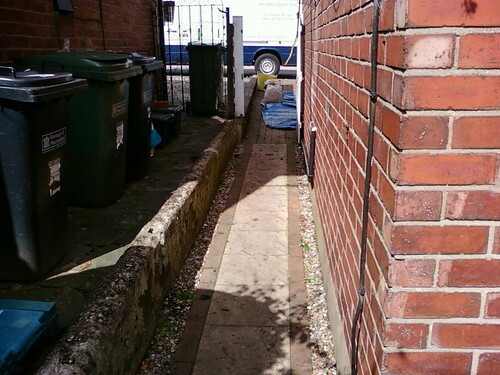 Patios Macclesfield. 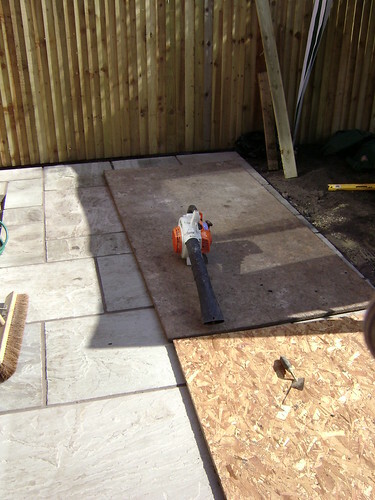 Paving Macclesfield.